The New York Islanders will take the trek to Calgary to take on the Western Conference Flames. New York is 25-11-1; tied with the Pittsburgh Penguins at the top of the Metropolitan Division. The Islanders are coming off wins on Monday over Washington and Wednesday over Winnipeg. For the Calgary Flames, they have won three in a row coming into Wednesday. The Flames have moved to 20-15-3, but still on the outside looking in within the Western Conference playoff picture. The Calgary Flames are scoring 2.8 goals per game, and allowing 2.5. In the 2-1 win over the Los Angeles Kings on Monday, the Flames saw Curtis Glencross and Markus Granland score in the first period to seal the deal. 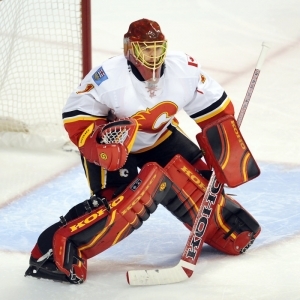 Calgary's goaltender Jonas Hilller denied 27 of 28 opportunities for the defending champion Kings. The Flames leading scorer this season has been Jiri Hudler. The left winger has 23 goals, and 13 assists. New York is scoring 2.9 goals per game, led by Kyle Okposo's 24 assists, and 8 goals. The Islanders rank 29th in penalty kill; as they are successful just 74.8% of the time. New York will be playing their second game of a 7 game road trip out west. The next time the New York Islanders are at home is on January 16th against the Penguins. New York's Jaroslav Halak is allowing just 2.27 goals per game.